The First Nehalems, Branded Core i7 - Where and For How Much You Can Get Them? The First Nehalems, Branded Core i7 – Where and For How Much You Can Get Them? To make sure we’re all on the same page, the CPU architecture Intel is introducing as the successor to Core 2, which was codenamed Nehalem, has been branded Core. Yes, Core comes after Core 2 chronologically. The codename Bloomfield was applied to the first Core (Nehalem) chips to be released. These are now branded i7, and became available at the back end of 2008. They run on the Tylersburg chipset, officially called X58, continuing Intel’s nomenclature policy of calling extreme chipsets X*8, and making it the successor of the X38 and X48. The Nehalem will appear in mainstream and high end guises (codenamed Havendale and Lynnfield) in the second half of 2009, along with the Ibex Peak or P55 chipset (successor to P45, which came after P35). The i7 920 will run at 2.66 GHz and cost $284; the 940 at 2.93GHz for $562, and the Extreme branded 965XE at 3.2GHz for $999. These are wholesale prices; if you don’t buy your CPUs by the 1000, you’ll pay a little more. Overclockers UK has the 920, 940, and 965XE listed at its website for 229.99, 419.99, and 749.99 pounds, respectively. PC Village (in Canada) has them listed at $339.95, $649.95, and $1099.95; USD prices will likely be somewhat lower. Furthermore, depending on how supply and demand work out, street prices could vary widely. If you haven’t been following all the coverage of the new technology Intel is jamming into these chips, we explain the features of the Core architecture in the next two articles. Some of the CPU’s features which are heavily connected to the X58 chipset with which it will launch, such as triple channel memory and most obviously, the new LGA1336 socket, are then discussed. We will also look at some of the X58 motherboards that will launch with the i7’s. Of course, the big question is if these new processors and mobos are faster, and by how much, than Intel’s own, industry dominating, current Core 2 Penryn architecture? The next question is what is the best choice for an upgrade or new system? That leads to another question; if I run out and buy an X58 based platform, will I be able to upgrade it? Later articles are going to look at some of the performance data that has surfaced and where the best performance for the dollar in CPUs will fall. Finally, we look at Intel’s plans for the future and see if there is good upgrade potential down the road. 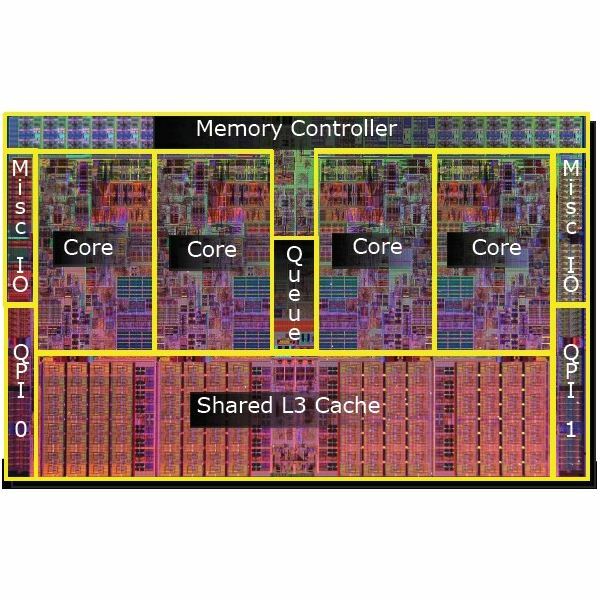 Intel’s new microarchitecture has been talked about for a long time. The time has come to really see what it is all about, how much better it is, who should get it, and where to it.